In this week’s top stories: We exclusively show off the new iPhone XS and Apple Watch Series 4, Apple announces its September iPhone event, a surprise AirPort Express update, and more. Read on for all of this week’s top stories. On Thursday, we shared an exclusive shot of the iPhone XS that Apple will unveil later this month. 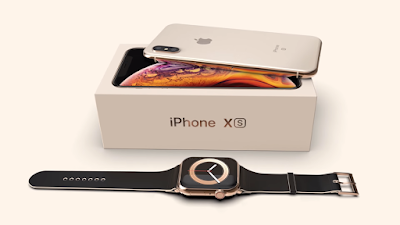 The image shows the device in 5.8-inch and 6.5-inch form factors, as well as coming in a new gold color option. Read more in our original coverage right here. Further, we were able to get our hands on an image of the Apple Watch Series 4. Here, we can see the device’s new edge-to-edge display and a new complication-dense watch face. Read our original coverage right here. Both the Apple Watch Series 4 and iPhone XS are expected to be unveiled by Apple at at an event this month. Apple officially confirmed its September 12th “Gather round” event this week, saying it will be held at Steve Jobs Theater at 10AM PT/1PM ET. Elsewhere, a Bloomberg report this week offered some additional details on what to expect with the iPhone XS. The report explained that Apple is focusing on speed and camera upgrades as the primary improvements this year. Wheil the device is expected to feature an A12 processor, specific details about the camera technology aren’t clear. Last but certainly not least, Apple updated the AirPort Express this week to add AirPlay 2 and Home app support. This means you can now use the AirPort Express to transform any speaker with 3.5mm output into an AirPlay 2-capable device.